The Caribbean island nation of Antigua and Barbuda has again rejected what its prime minister describes as a “regrettably paltry” offer in the country’s long-running battle against the United States to recover compensation for the US’s World Trade Organization-defying refusal to allow open-market access to Antigua’s online-gambling industry. The WTO dispute between the two countries has stretched for over a decade, and Antigua has already been awarded a $21 million annual judgment in the form of an intellectual-property “abrogation”. That award, granted in 2007, allows Antigua to manufacturer and sell copies of digital movies, recordings, and other electronic media, and deduct any royalties normally owed to the original US-based companies. However, Antigua has long held off on pursuing that compensation avenue, despite receiving the WTO go-ahead. Instead, the country’s government has attempted to continue negotiating with the US, but the US has for years laughed at making any sizable settlement offer. That US blockade remains firmly in place, according to an article in the Antigua Observer. In the latest developments, Antigua’s prime minister, Gaston Browne, who has seemingly run out of patience in the matter. Said Browne, “The Cabinet has agreed that proposals put to us by the US authorities do not represent a serious commitment to resolve the issue.” Antigua and Barbuda’s actual loss in uncompensated WTO settlement monies have now exceeded a quarter of a billion dollars, and Browne characterized the latest US non-negotiations as more of the same. Said Browne, “The proposals from the US are regrettably paltry”. The latest development represents an about-face of sorts for Browne, who three years ago announced his country’s plans to open up more friendly negotiations with the US on the unsettled award. That followed a years-long legal battle by Houston-based attorney Mark Mendel, who led Antigua’s fight against his own country, believing, as do many others, that the the US’s actions and stance were and are duplicitous and unjust. Browne’s cabinet eventually jettisoned Mendel and his legal services a few years back, but after the US’s continuing stonewall, now finds itself in the same place it was years ago, with no realistic settlement coming from the US. While Antigua itself as a government has not authorized any intellectual-property abrogation to date, one private startup attempted to do so in July of 2009, citing the WTO decision, but was quickly shut down by the island’s authorities. The long-running trade dispute between the two countries dates all the way back to 1998, when initial online-trade agreements were reached between the US, Antigua, and many other WTO member countries. The online-gambling category was specifically included in the “GATS” (General Agreement on Trade in Services) negotiations during the 1998 Uruguay round of WTO trade talks. Nonetheless, when Antigua committed to housing an online-gambling industry on its island, the US claimed the island’s offerings to be illegal, and has prosecuted the owners of many of the companies that have operated from there. 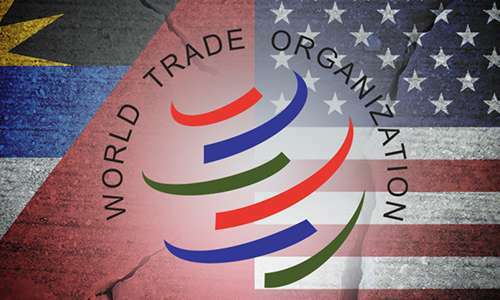 The WTO found the US’s actions to be in violation of the GATS accord back in 2007, laughing at the US’s claims that it was entitled to ignore Antigua’s claims on moral and religious grounds, since the same services offered online by Antigua-based sites are available in various land-based venues throughout the US. The US’s post-UIGEA clampdown on offshore, US-facing sites hit Antigua especially hard, resulting in the closure of at least half the firms once doing business from there, serving US-based customers. That such a drastic measure is forced upon Antigua by the US failing to honor the WTO decision in its case won’t, of course, be mentioned at all, even when such claims of piracy are renewed. It continues to be Browne’s move in the matter, though the ever-increasing amount of the unpaid settlement make it gradually more likely that Antigua will take such a step in seeking its owed compensation.